I think MS is a very lonely disease. When you have blurry eyes, tingling sensations, bowel or badder troubles you’re the only one who knows about it unless you tell someone. If you don’t have a significant other then the feelings can be even worse. When you’re first diagnosed there are counseling clinics available. There you can talk to counselors and other people newly diagnosed with the disease. There are also counseling clinics for people with more advanced MS. After 27 years I really don’t want to talk with anyone about my disease except my neurologist. I enjoy sharing thoughts and ideas with people that have MS but everyone’s MS is different. What affects me may not affect you and vice versa. Have you ever read someone else describing their life? An example would be… Joe is now living a quiet and simple life out in the suburbs. I’d describe my life like that now. After having a very active professional and personal life Jon is now living a quiet, simple life in North Dakota. It seems that most people with MS have their lives changed dramatically by the disease. There are marriages, separations, employment changes and like me my activity level has dropped off. Personally, I last worked in 2002! That’s 16 years ago. Now, I just want to live the rest of my days as simply as I can. I’ll probably die in the town that I now call home. People need to learn more about Multiple Sclerosis. I don’t know how many times I’ve told somebody that I have MS and they’ve said, “is that the disease Jerry Lewis tried to cure”? So many people don’t know a thing about it. I hope my posts and blog can help with that. I would describe Multiple Sclerosis like this. 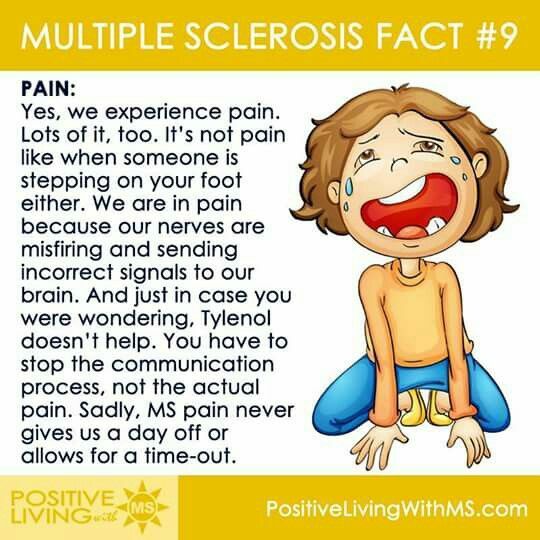 MS is a debilitating disease of the central nervous system. Your MS depends on where the demyelination has occurred on your brain and spinal cord. I have demyelination on both my brain and spinal cord. I’ve personally seen my MRI’s. The lesions on my spinal cord are now affecting everything below my waist. I want to emphasize that MS is not a death sentence but it can be challenging. Personally, I’ve been challenged relearning most things sitting on my rear end like cooking, bathing, shaving, sleeping and also learning how to use the hand controls in my van. Right now, I’m trying to learn about my bowels and anxiety. One thing I know is this. I’m going to be disabled for the rest of my life. When you think about that it’s kind of depressing but a person has to go on as best as they can! Unless a person has complications with their MS people don’t die from it. I consider my MS just a speed bump to what I want to accomplish for the rest of my life. We all have to have dreams. Let me explain something to you so I don’t sound too greedy. I don’t take vacations. I don’t buy fancy sports cars (vans only for me as I have to haul my scooters now). I don’t wear fancy jewelry or clothes and I wouldn’t buy a big mansion if I could. What I would do if I had money is live in comfort knowing that I had a lot of money in the bank. I want to feel secure. I want to feel monetarily secure! I want to help my son with college costs which I’ve already started doing. MS can make a person feel insecure at times because you don’t know what’s going to happen to you next. Looking back on my 27 years with MS the disease has been a great teacher. I’ve learned a lot about the disease, myself and my inner strength.